[prMac.com] Cologne, Germany - tagtraum industries is pleased to announce the release of beaTunes 4.5, featuring a fresh new look and usability improvements for their popular music library management utility for Mac OS X and Windows. beaTunes excels at fixing ID3 tags, and automatically calculating musical key and tempo - features valued by music enthusiasts, DJs, and athletes alike. The new beaTunes 4.5 features an attractive new user interface fitting right in with the Yosemite and El Capitan aesthetic. Icons and controls are flat, yet stylish. OS X users feel right at home. Side and status bars are now hideable, and top-level UI selectors (Library, Inspection, ...) are located at the left edge of the application window, in order to remove visual clutter. Thanks to keyboard shortcuts for all top-level panes, navigation remains quick and easy. Besides the obvious visual changes, tagtraum industries improved many little things with usability in mind. For example, copying a song from the Matching Songs panel to the current playlist, is now also possible via a dedicated button, instead of having to rely on drag and drop. This makes incremental playlist-building even easier. In the audio analysis department, automatic key detection has been a beaTunes mainstay for many years. Version 4.5 adds the ability to write keys into the comment field using one of multiple built-in formats (others can be added via a plugin interface). In the key tag itself, beaTunes can now write either ID3 or Open Key data, maximizing interoperability with other apps using non-proprietary formats. Just like key detection, ReplayGain volume normalization - the alternative to Apple's Soundcheck - has long been a valued item in the beaTunes toolbox. beaTunes 4.5 now allows choosing between album and track gain when updating iTunes' proprietary iTunNORM tag. Naturally, beaTunes' main strength, metadata correction, has also undergone some changes. Version 4.5 adds a new inspector for missing track counts. Other inspectors were updated with additional issue solutions. Under the hood, beaTunes has always made extensive use of open source libraries. This hasn't changed. Most of these libraries were updated for beaTunes 4.5 in order to take advantage of general development progress. The main benefit: streamlined caching and thus performance improvements. Overall, version 4.5 continues the evolution of this indispensable tool for music lovers. 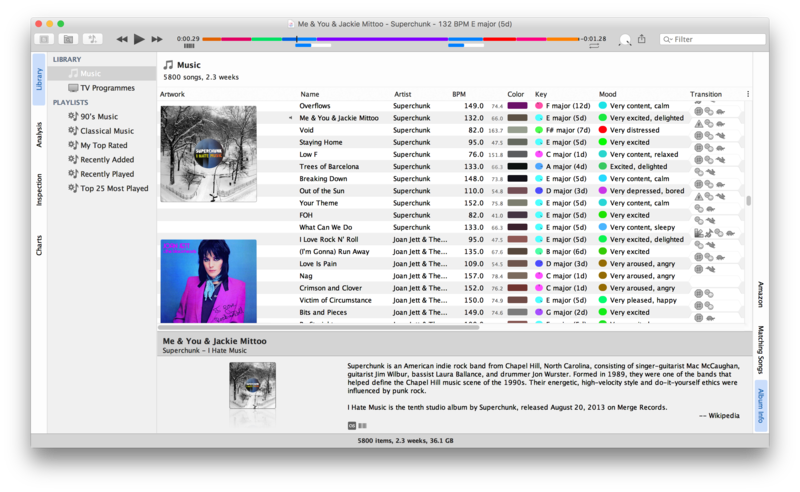 Clearly, it's getting more and more refined, making music analysis and library management easier than ever. beaTunes remains a must for the serious audiophile. 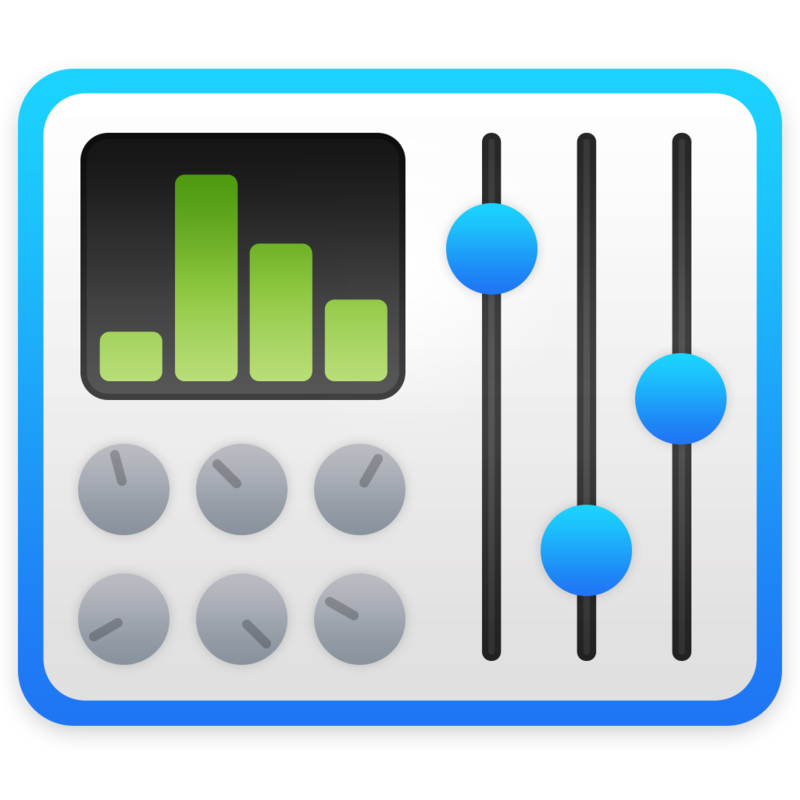 beaTunes 4.5 is available for $34.95 (USD). For beaTunes 4.0 users the upgrade is free. A 14 day trial demo is available. The trial version does not allow users to apply one-click solutions to inspection issues. NFR licenses are available for media reviewers. tagtraum industries incorporated is an indy software shop founded in 2004 by Hendrik Schreiber in Raleigh, North Carolina. Its main focus lies on DSP/MIR, Mac software, Java-based solutions, architecture, implementation and optimization. tagtraum's operational base is Cologne, Germany. Copyright (C) 2015 tagtraum industries incorporated. All Rights Reserved. Apple, the Apple logo and Mac OS X platforms are trademarks of Apple Inc. in the U.S. and/or other countries.